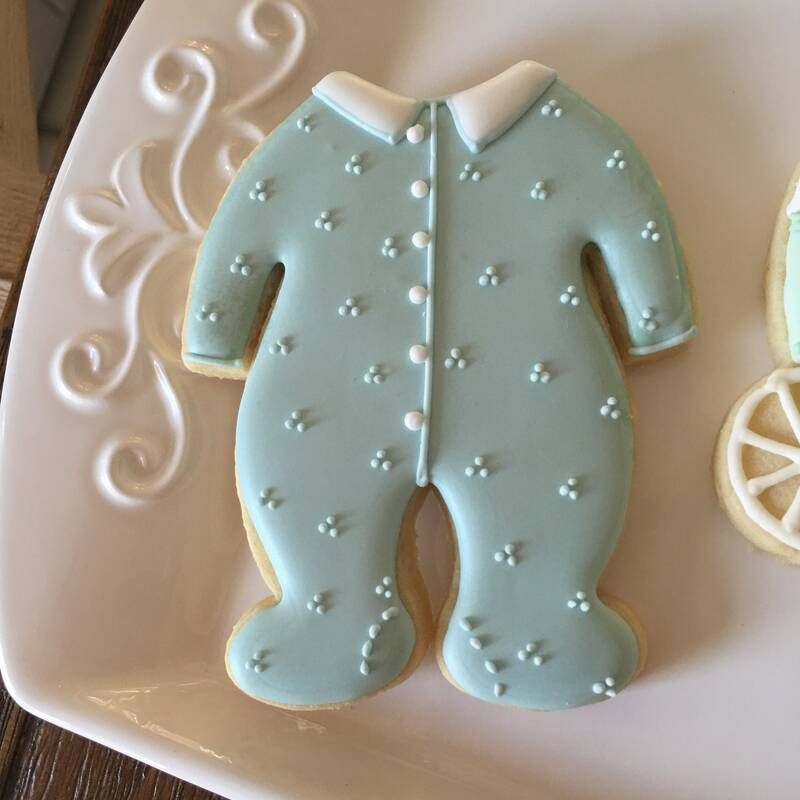 Girl's All-in-one Footsie Pajama Cookies for Baby Showers or Birthdays, Custom Baby Onesies Sugar Cookies, Baby Shower Cookies. 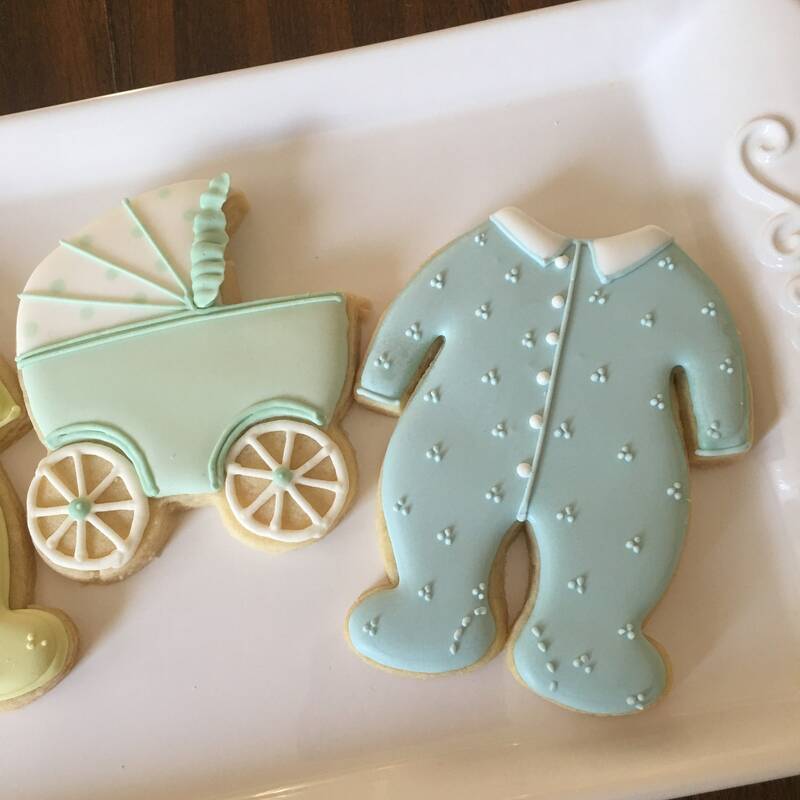 They sugar cookies, iced and decorated with royal icing. The size is approximately 4" x 4.5".